WashRite Services provides professional awning cleaning and sealing for residential and commercial clients. We clean and maintain both types of awnings - woven fabric and vinyl. We use WINSOL products which is a respected name in awning maintenance. Winsol Laboratories is a chemical manufacturer working in cooperation with the major manufactures of industrial vinyl fabric. They developed the standard of awning maintenance cleaning chemicals. 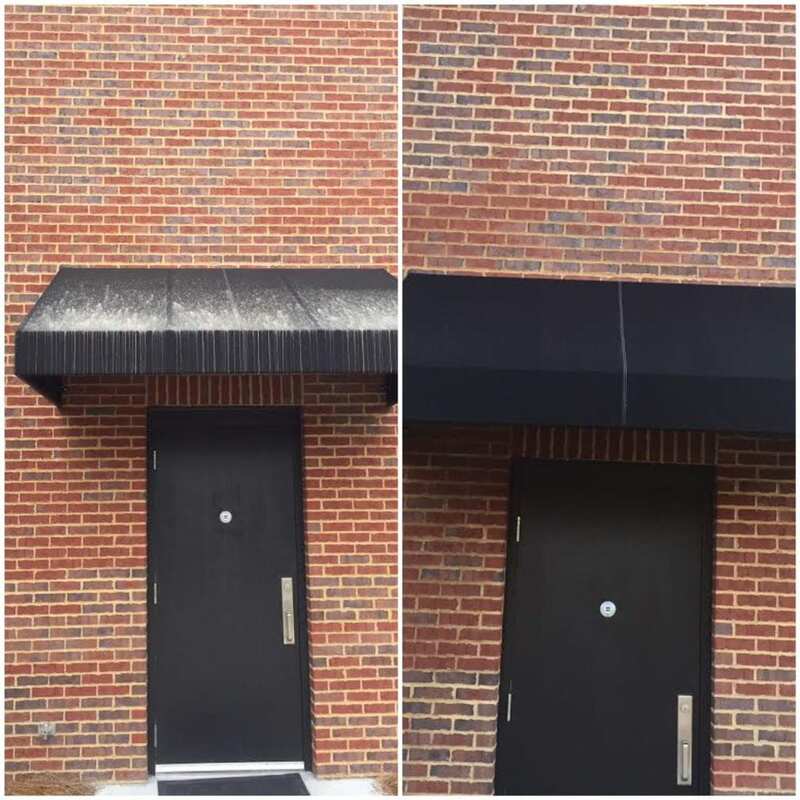 Re-sealing after cleaning is a must to preserve the awning to "like new" condition. Waterproofing prevents water and pollutants from entering the woven fabric making subsequent cleanings more effective. Give us a call today for a free estimate on cleaning and maintaining your awning.